What shall we say about the Maltese Pastizzi delight? An inexpensive Maltese pastizzi are impossible to miss. These can be found in every Pastizzeria in Malta. 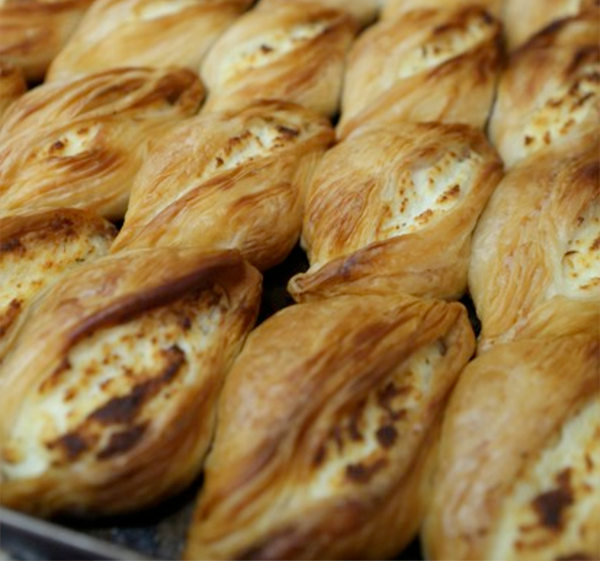 Flaky on the outside, warm and chunky on the inside, pastizzi are the most popular snack on the entire island. Pastizz (singular) or pastizzi (plural), are the most popular national Maltese food. And your visit to Malta or Gozo would not be complete without tasting a few of these flaky! These little wonder snacks are a real calorie packed delights, which is why not everyone is in their favour. While some love it; a few will dare not to taste it. This flaky diamond-shaped pastry is made using a puff-pastry. Inside the pastizzi one finds usually, a filling of ricotta (pastizzi tal-irkotta) or mushy peas (pastizzi tal-piżelli). Pastizzi are served throughout Malta and can be bought from specialist pastizzi shops. Being the cheap, just 30 cents each, they can be eaten at any time of the day and for any occasion, as a quick snack with hot or cold beverages.